Wolverhampton Wanderers host Tottenham at Molineux Stadium on Saturday evening, with both clubs looking to return to winning ways in the Premier League. Neither team has been convincing in nature over the last set of fixtures as Wolves head into the encounter off two consecutive league defeats, while Spurs have struggled to string together a run of good form across all competitions heading into this fixture. Check out 90min's preview for the clash below. Nuno Espírito Santo's side are the envy of a plethora of Premier League club's as they head into matchday 11 with a clean bill of health, leaving the ​Wolves boss with a different type of selection conundrum on his hands. ​Tottenham, meanwhile, welcomed back Dele Alli and Christian Eriksen from injury spells during the defeat to Manchester City and could feature after both started the 3-1 Carabao Cup win at West Ham on Wednesday. However, the game has come too soon for Danny Rose while Jan Vertonghen remains sidelined until at least December after sustaining a hamstring injury in September. ​Wolves ​Patricio; Bennett, Coady, Boly; Doherty, Neves, Moutinho, Jonny; Costa, Jota, Jimenez. ​Tottenham ​Lloris; Trippier, Sanchez, Alderweireld, Davies; Winks, Dembele, ​Alli, Lamela, Moura, ​Kane. The two sides have met on 93 occasions dating all the way back to 1908, and Tottenham have the edge over their West Midlands opposition in head to head results - winning 46 in all competitions. Wolves on the other hand have picked up 27 victories, with 20 games ending in a draw. The clash on Saturday is the first between the pair since 2012 - the last time Wolves were in the Premier League - and Spurs have recent history on their side having won nine of the last 14 encounters. Wolves' last win against the north London club came in 2010, but they hold the record for the biggest winning margin in the history of the fixture having secured a 6-2 win in 1935. 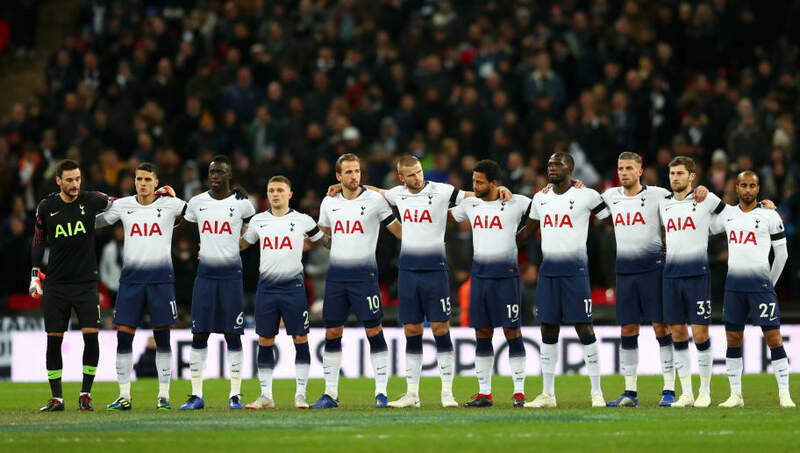 Tottenham have had a mixed bag of results and performances throughout October having shown they can win ugly against the likes of West Ham and Cardiff, while also showcasing their inability to make their chances in front of goal against Manchester City and PSV. Similarly, Wolves have stumbled in recent weeks having succumbed to consecutive league defeats for the first time this season off the back of six games unbeaten. Wolves have proved a hard task for the league's power clubs this season having held both Manchester sides to a 1-1 draw, ensuring they head into this game full of confidence of picking up a positive result - despite their recent form. Tottenham will be buoyed by the return of a number of their star players earlier this week and will hope they inject a much needed spark into the lineup. ​​It will not be a straightforward fixture, but expect Spurs to edge this one.